Chefren was the son of Cheops and Henutsen of the 4th dynasty and thus the half-brother of his predecessor, Djedefre. He was married to his half-sister Khamernebti I, with whom he had a son, Mykerinos, and a daughter, Khamernebeti II. He was also married to Meresankh III, a daughter of Kawab and Hetepheres II, with whom he had at least four sons: Nebemakhet, Niuserre, Khenterka and Duaenre, and one daughter, Shepsestkau. Other sons of Chefren's were Nikawre and Sekhemkare, but it is not known who their mothers were. It is not known why Djedefre was succeeded by his half-brother Chefren and not by his own son, Setka. It is sometimes suggested that Chefren pushed aside Setka, but it is equally possible that at Djedefre's death, none of his sons had survived and that Chefren was the oldest surviving male descendant of Cheops. His marriage to Meresankh III, a granddaughter of Cheops, was probably meant as a further legitimisation of his claims to the throne. The Turin King-list records a rule of more than 20 years for Khefren, according to Manetho and Herodotos it was 66. The highest known recorded year for this reign is the year of the 13th cattle count. The cattle counts were biennial at least two times during the reign of Chefren, which means that this king ruled Egypt for at least between 15 and 25 years. A reign of 26 years is generally accepted. During Chefren's reign, the solar-religion gained in importance. His predecessor had already added the title "Son of Re" to the royal titulary. Chefren continued this new tradition. The high quality and richness of private tombs built during his reign show that Egypt was a prospering country. 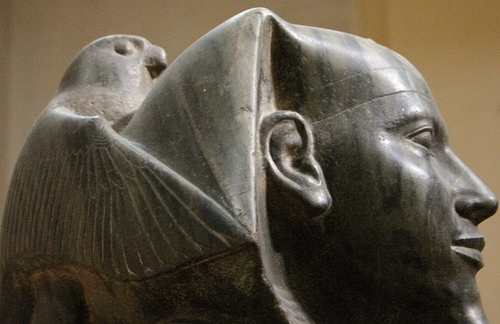 Chefren returned to the plateau of Giza to build his funerary monument next to his father's. Although Chefren's pyramid is slightly smaller than Cheops', it was built on a higher level of the plateau, giving the impression that it is the biggest of the three. The inner structure of the pyramid of Chefren is less complex than Cheops' as well. 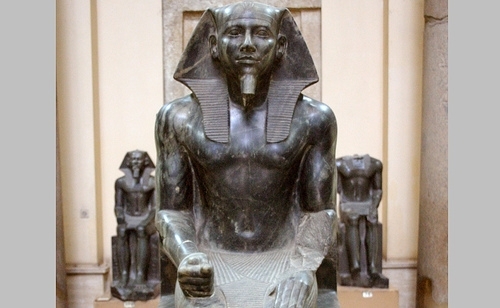 A diorit statue of the king existed in the Egyptian museum. 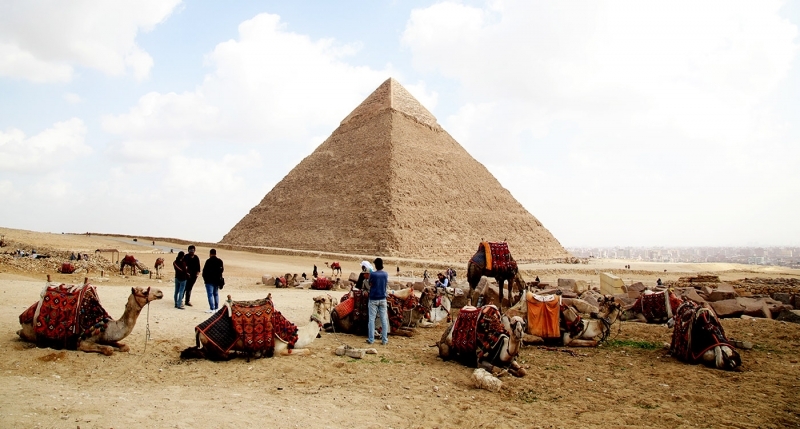 A visit to King Khafre Pyramid could through our Egypt Tours.